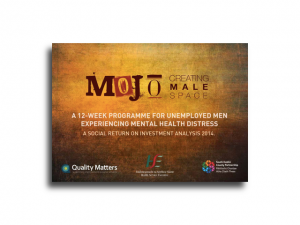 The Mojo Programme is a training programme in Tallaght, Dublin that works with men at-risk to suicide or self-harm. Their objective was to better understand how much time and resources were spent on their programme and what happened to everyone involved as a result. Working with the Mojo Project, we interviewed a range of stakeholders, including participants, agencies and other stakeholders, to understand their outcomes and experiences of each group, and undertook a social return on investment evaluation of their services. The evaluation found that for every €1.00 of investment into the programme, Mojo returns between €4.26 to €4.96 in social value. The experience of working with Caroline and her team was extremely positive as their professionalism was mixed with a warm and friendly approach. The quality of the evaluation was excellent; the data gathered was valuable, accessible and practical. Our team would love to talk to you about your project. Get in touch.